The latest Google Earth 5.0 makes it easier to understand the oceans. It is simple to use and easy to navigate. Most of the above features are supported by images and video clips. Here is the screen shot of Google Earth with ocean. 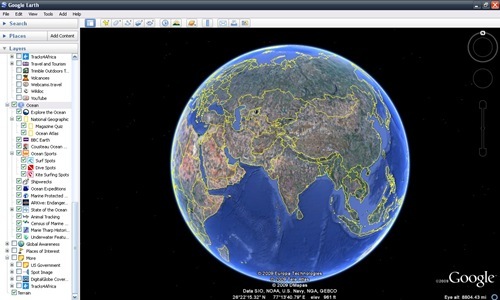 How to use Google Earth ? User Guide is here. 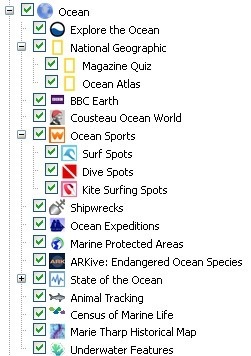 You can learn more about oceans, from Google Earth partners.